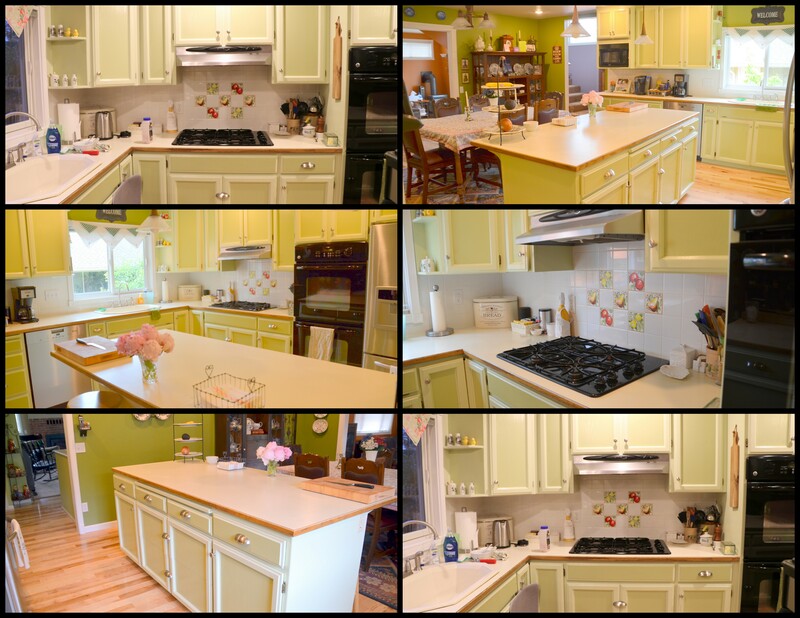 Quartz Counter Tops | The Happy Wonderer ~ ellen b. 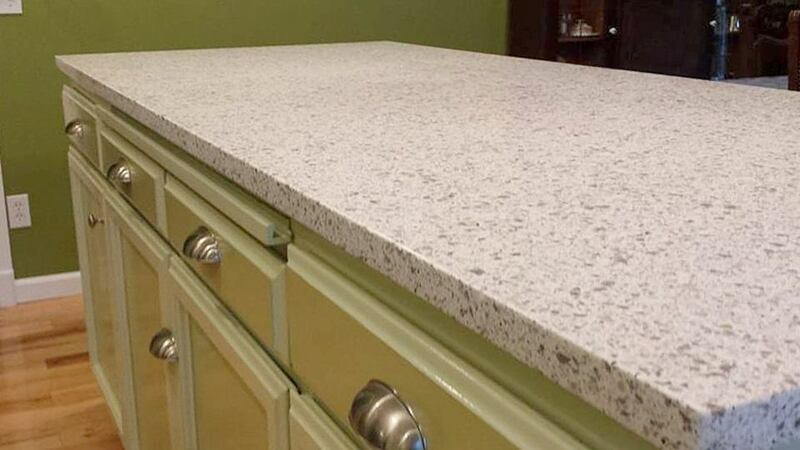 Our kitchen counters before were Formica with an oak trim. 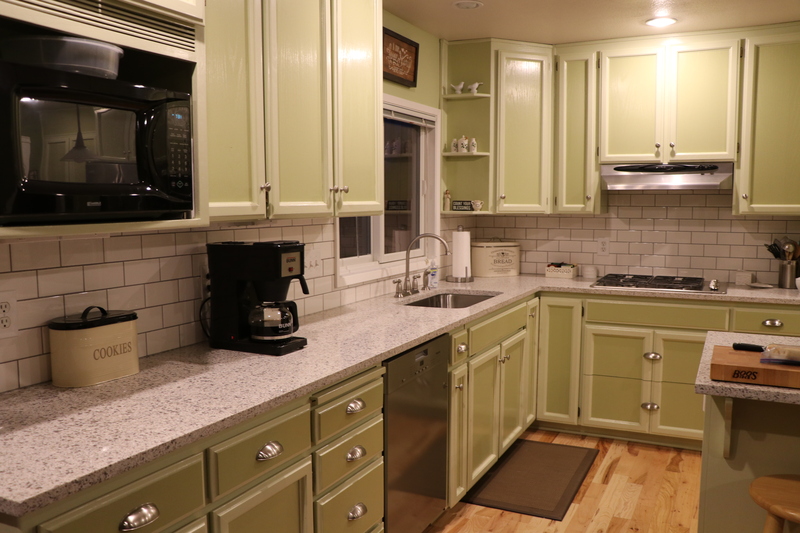 The backsplash was a white square tile with a few decorative tiles above our black range top. Our sink was cream colored and slightly oval. 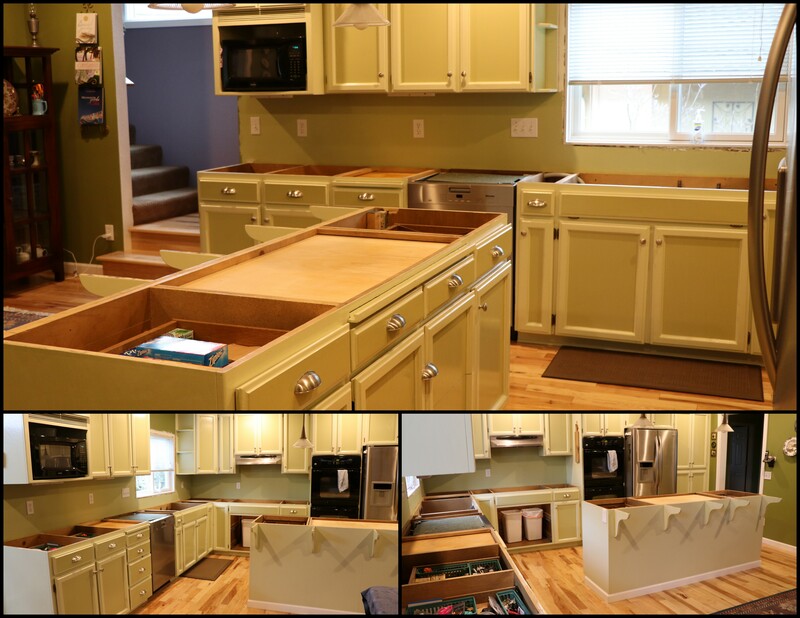 The cabinets show up a little too yellow/green in some of the above photos. The actual colors are more true in the following photos. First order of business was removing all the old tile. 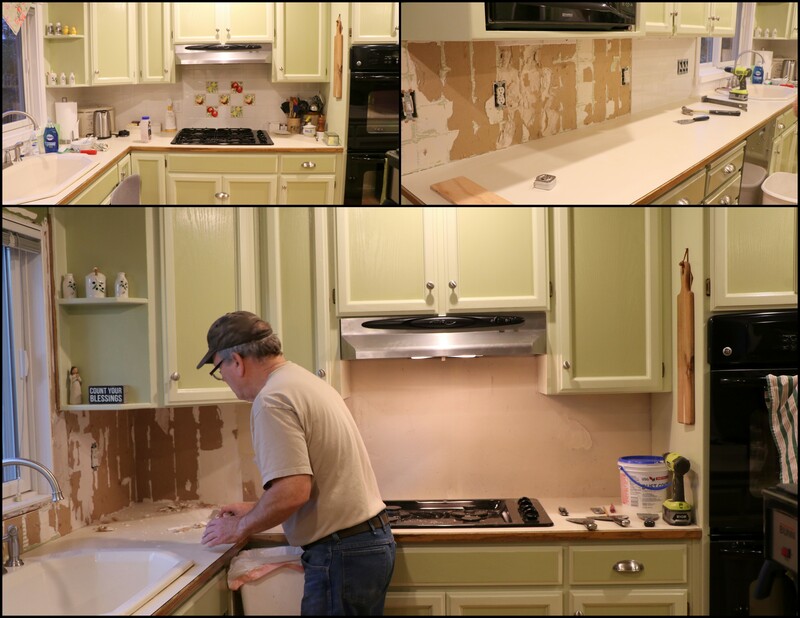 The walls where the tile pulled off more than was desired were repaired and then given a primer coat of paint. 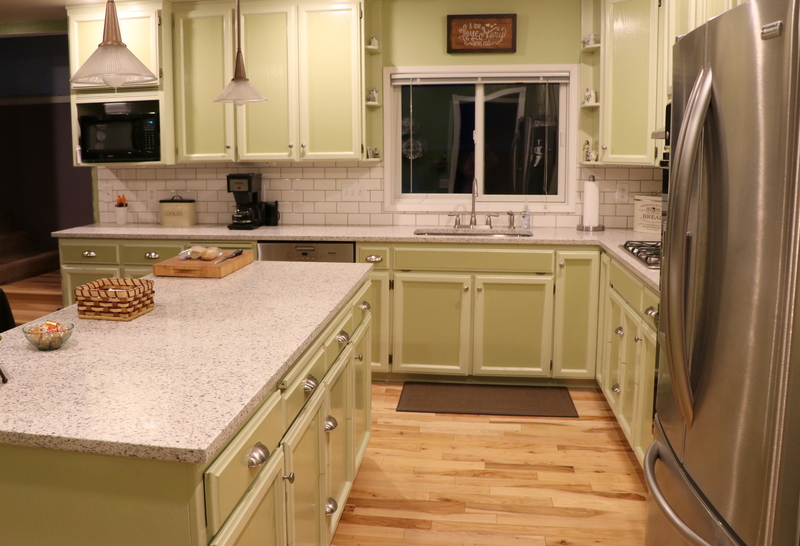 The night before the installers were to arrive with the new quartz counters, Dear pulled off the old counters and hauled them out of the house. 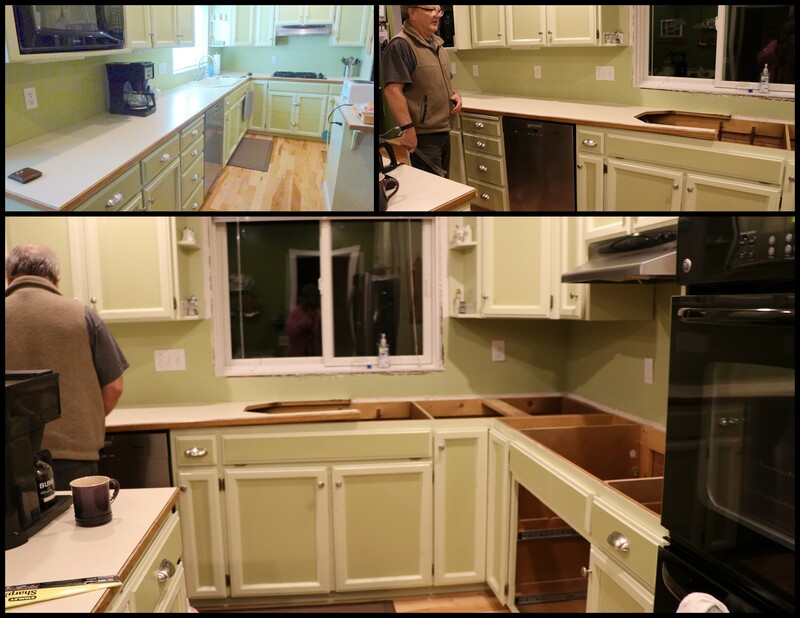 The installers came and made quick work of installing the counters plus our new stove top and stainless sink. 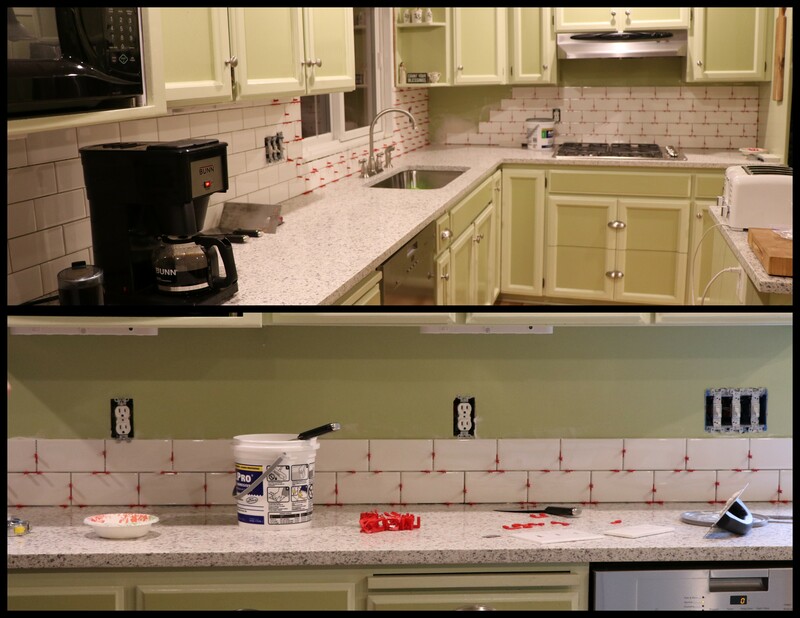 After a day of letting the counter adhesive dry, Dear started in on installing the subway tile backsplash. We chose a grey grout and a 1/16th inch spacers between the tiles. In the end because the subway tiles we chose were slightly beveled the grout looks to be closer to 1/8 inch. We like it. A double stainless oven could be in our future, wink, wink. 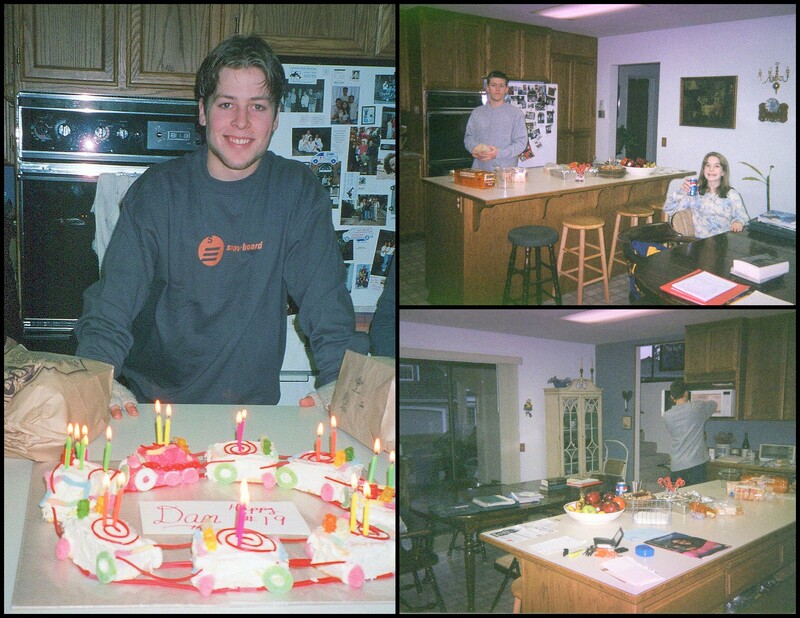 Here’s Dear and me in 2017 standing right where Dan was standing back in the year 2000 with his choo choo train cake. 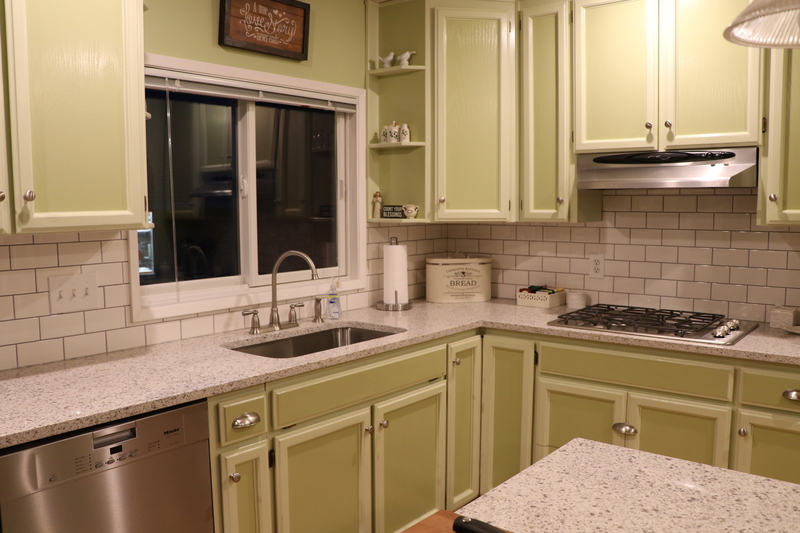 I am thankful for our new quartz counter tops and subway backsplash. They brighten up our kitchen even more. So my promise to show the before and after has now been kept. I’m starting off the New Year right. Hope all is well and you are warm and cozy in your neck of the woods. So happy to announce that our counter tops were installed on Wednesday by noon. We are still miles away from a fully functioning kitchen. Our cook top is connected to gas and ready to go. Our sink and dishwasher still need some plumbing parts to get things running well. The new sink is deeper than the old one so we have to make adjustments. 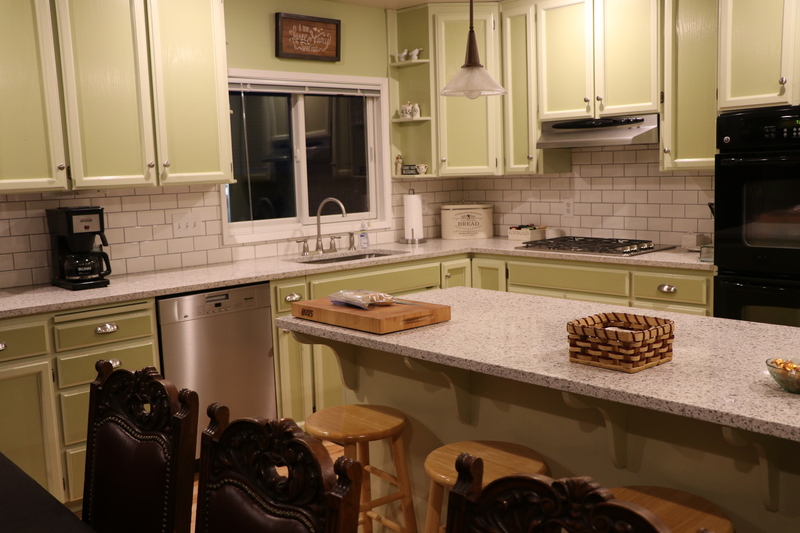 Dear started the layout and planning for the backsplash and as soon as the sink and dishwasher are up and running he’ll start on the subway tile. Last but not least will be the window trim. Good thing he’s retired! When it’s all done I’ll do a full before and after post. 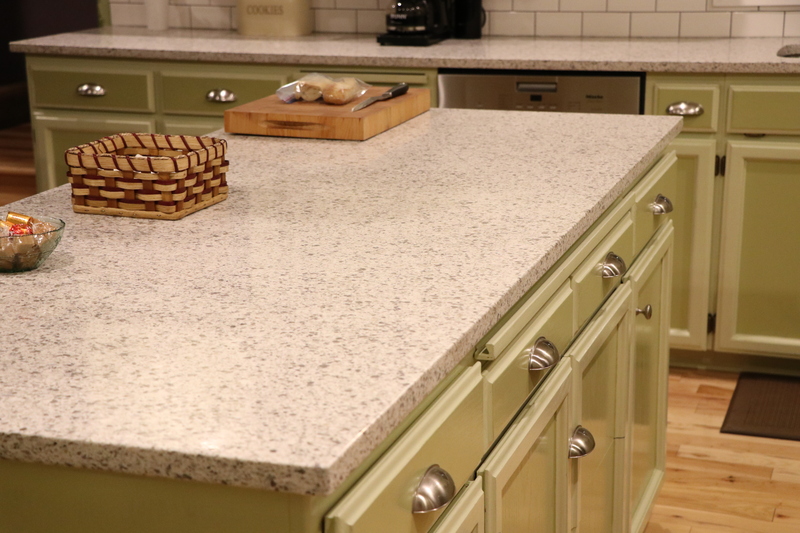 We are pleased with the quartz! It’s called White Peppercorn. 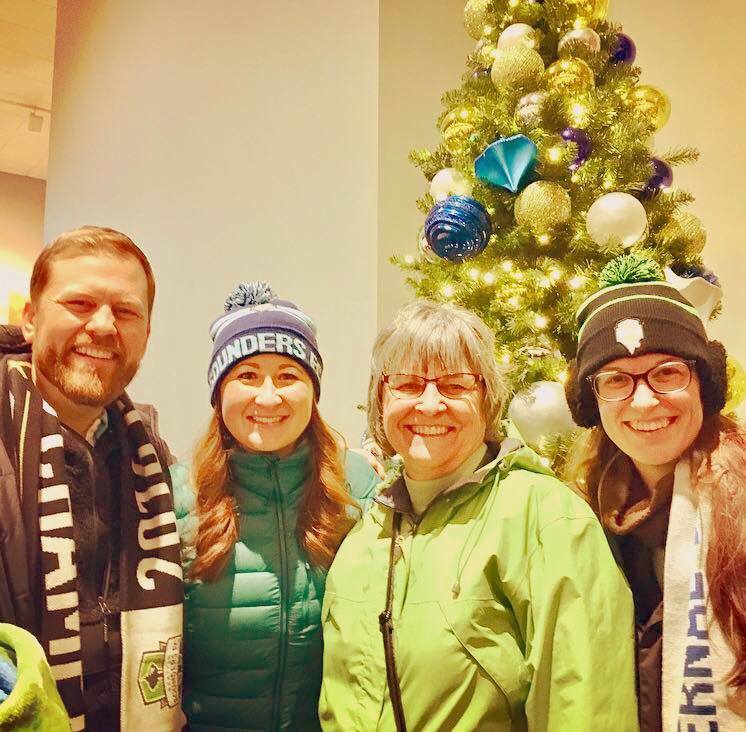 I’m off to a Seattle Sounders Soccer game with my kids tonight that will determine if we go to the finals again this year. 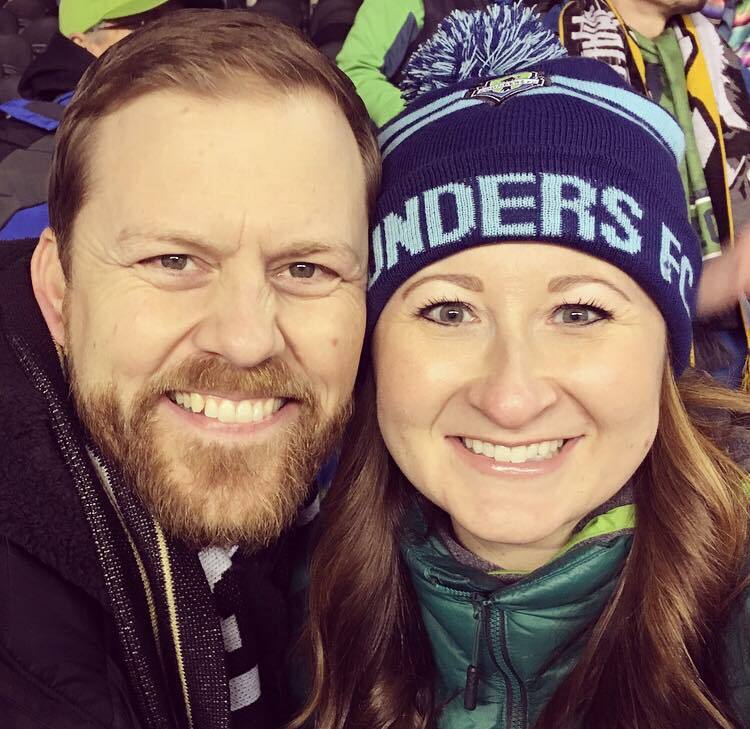 Go Sounders! We won! 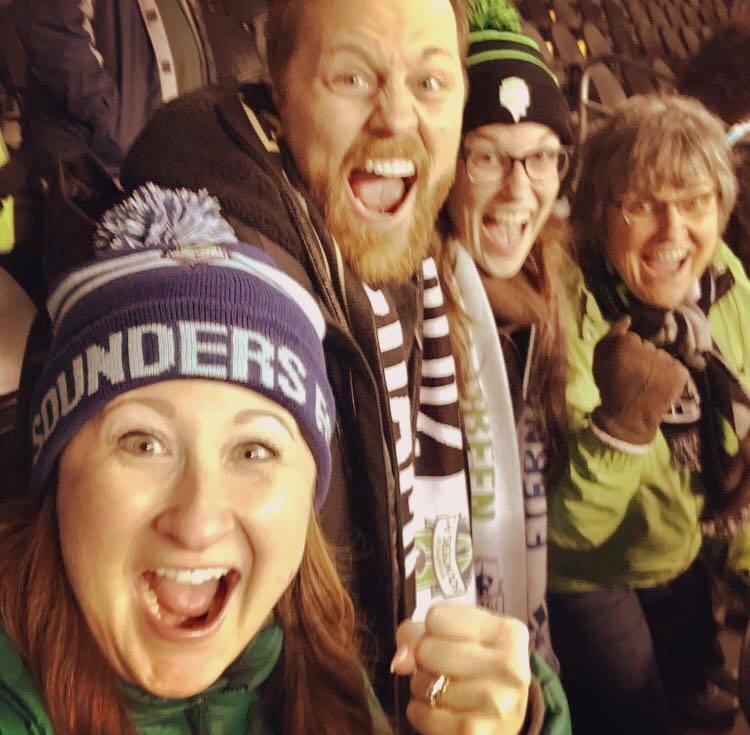 The Seattle Sounders are Western Conference Champions again this year! The Sounders will play Toronto in Toronto on December 9th. These two booked their flight to the game and now all they need are tickets for the game! What a fun time celebrating together and now we are looking forward to watching the final. 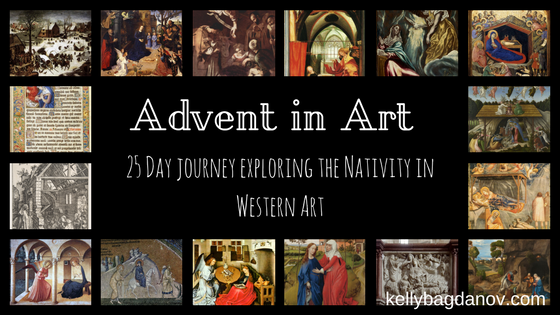 My Sister-in-law Kelly has been an educator for many years and she’s posting an Advent Series called Advent in Art. It’s free and you can sign up to receive the daily prompts by following the link. If you are homeschooling this will enrich your art history program. The Advent Season has begun and it’s snowing on my blog again. 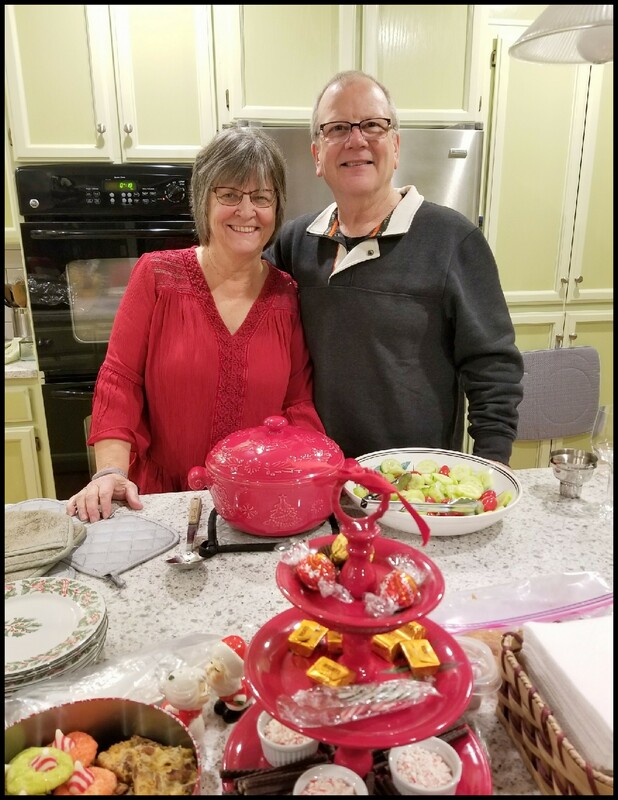 Thankful!